Whether you know it or not, there may come a time in your life when you’ll need to drive a manual transmission car. Plus, there are a lot of benefits to driving a stick shift, like getting better gas mileage and having a better overall driving experience. As such, learning to use stick shift is an important lesson all drivers should know, no matter the car you currently own. It’s not only a great skill, but can also open up your options when buying your next car. Below are some tips to keep in mind when learning to drive stick shift. Take a spin with an experienced stick shift driver. Pay attention to the way they drive and when they shift into another gear. Especially pay attention during a stop light or driving up a hill and how the driver quickly shifts gears. By observing, it will help you during your first time behind the wheel. Also, practice shifting gears and pressing the clutch and gas with the car turned off. That will help you get comfortable. As you learn to switch gears, don’t fight with your engine. If you shift to the next gear too early, your engine may stall or shudder. When that happens, just shift down to a lower gear. Along with the engine, it’s important to watch the Tach, if you have one. If your car doesn’t have a Tach, when in doubt, shift up. Also, remember that the steeper the hill or heavy load in your car, the longer you should stay in a lower gear. What does that mean? According to Napa, “It’s when you keep the clutch pedal partially depressed during acceleration, normal driving or waiting at a red light. To avoid damaging the clutch, it’s best to keep the car in neutral at a longer stop, depressing the clutch only when you are actually changing gears.” This will ensure a more safe and smoother ride. 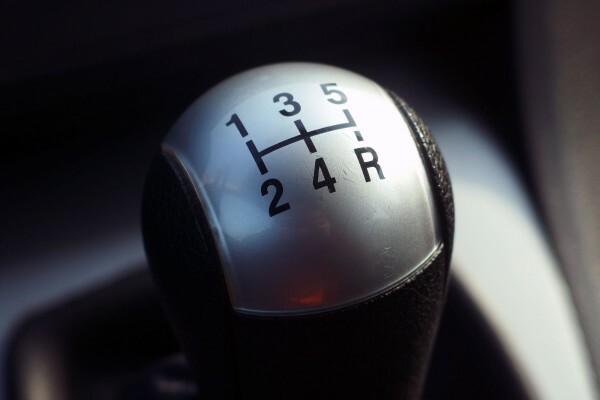 Though driving stick shift will take some practice, it’s important to practice certain driving situations, when possible, and what gear to be in. Learn what gear works best for your car when stopped at a long red light, going up a steep or steady incline/decline. The better you know how your car will react, the better you can treat your engine and car overall. For more news, as well as fun facts, defensive driving El Paso, TX, competitions, and other cool stuff, follow DefensiveDriving.com on Facebook and Pinterest.